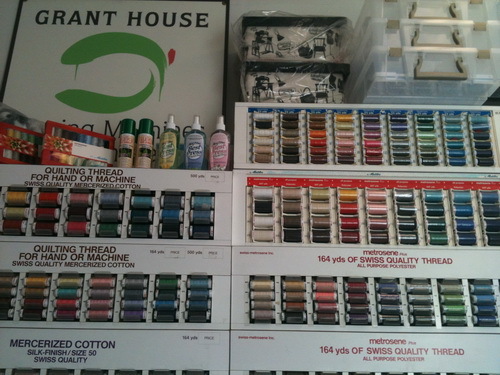 Wild, colorful, zesty, provocative - thread can bring out the best in any sewing project. Of course, crummy thread, just like a cheaply made or poorly adjusted sewing machine, can ruin your day. 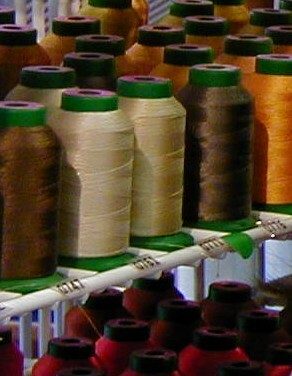 So here's our best advice: Buy good thread. Oh, and while you're at it, buy good needles and, if you haven't already, pick up a really good sewing machine from Grant House! The next time you're in Santa Barbara, check out our incredible selection of specialty sewing, embroidery, quilting, and crazy threads - the area's most wonderful collection. We don't charge a cent to gaze at the vast rainbow of color - it could be just the therapy you need!